The City of Ryde is working with the community to share books through the installation of little libraries in our public domain. A street library is a weatherproof box that is publicly available for anyone to share books. This project aims to increase community activation through installing public libraries throughout our public domain. The libraries work on an honesty system with the motto “Take a book; leave a book”. Council’s City Activation team are leading the project, which works with community groups to design and paint the libraries. A location for the street library is identified, and a suitable custodian of the street library is sourced. The custodian is typically a business that is located adjacent to the library whose role is to monitor and maintain the library, and communicate with Council. Council’s first street library was installed at Boronia Park. This library was designed and painted by children at Boronia Park After Care Centre and the custodian is Boronia Park Framing. This library has been highly successful at activating the once bare space, and the community love the fact that a good read is never far away. 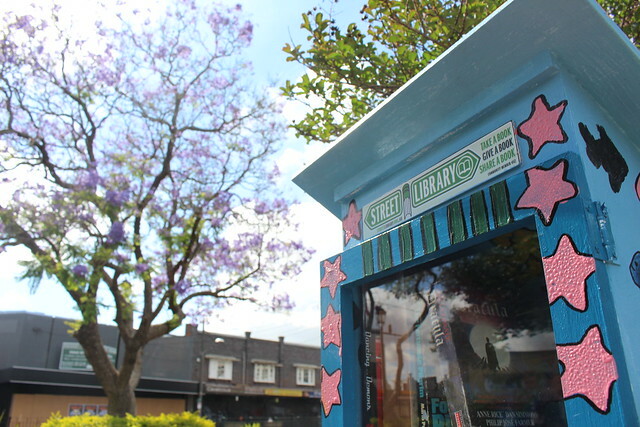 Council has recently implemented a Street Library program that offered 10 free Street Libraries to the community for installation on their property. Council invited applications from local community minded folk who were interested in owning, loving, and maintaining a Street Library to thrive. These budding new librarians have already received their raw Street Library, and over the next few months will paint and embellish it so that it looks amazing, install it on their property, promote it for use by the community, and register it with Street Library Australia. It is expected that all these Street Libraries will be up and running by mid-February 2019. For those that missed out this time, watch this space! We are currently working on more ways to assist community members to install a street library.